Here's proof positive that PhilanthroMedia is a community for discerning donors regardless of from whence they come on the political and idealogical spectrum. 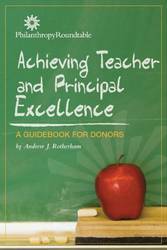 We'd like to bring your attention to a new series of donor guides produced by The Philanthropy Roundtable . Moving beyond (and to the Right) of generally-accepted principals (pun intended) are the next round of guidebooks listed on the Philanthropy Roundtable site including: Jump-starting the Charter School Movement: A Donor's Guide, Helping People to Help Themselves, and finally: Reviving Marriage in America: Strategies for Donors.